You’ve spent days, weeks, even months hunting for the perfect gifts for everyone on your list. Now that you’re victorious, and your glorious spread of gift-giving victories is laid out before you, it’s time to get down to that all-important next step: packing and shipping presents. 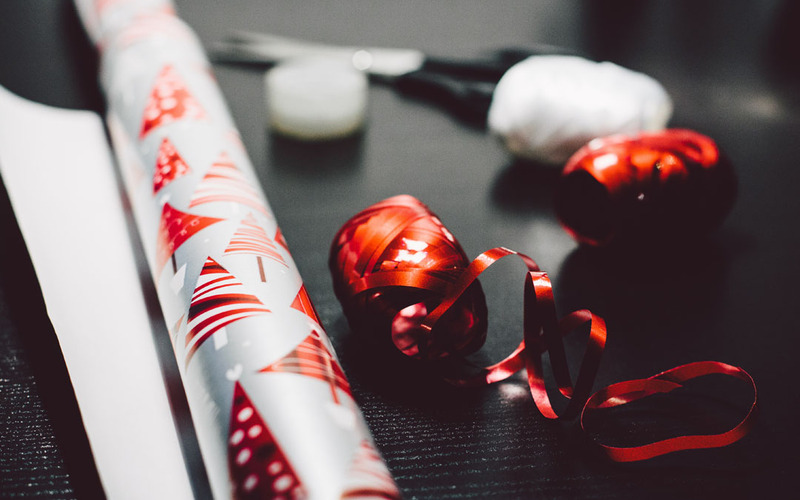 Straight from Santa’s workshop, we’ve assembled some of the best, most time-efficient tips for wrapping, packing and shipping presents out to all those lucky people. Crank the Christmas music, pour some eggnog and let’s get down to owning this holiday season, shall we? What are you sending? Is it big or small, a single gift or multi-piece, is it bought or hand-made? This will help you decide whether to use a box or a mailer envelope. If it’s bigger, more valuable or fragile, a well-packed corrugated box is ideal. If it’s smaller or isn’t so fragile, a bubble mailer will probably do the trick. Who’s it for? If that gift is headed to an adult friend, your packaging choices won’t matter so much—at least when it comes to appearances. For them, it’s the thought that counts. But, are you sending that gift to a young kid, like a niece or nephew? They’ll love receiving a box, rather than a mailer—it’ll seem more like a present and be an exciting experience for them. Choose your packaging supplies based on what you’re sending. If your gift is valuable or fragile, use bubble cushion to wrap it up and protect it during its trip. If it’s not quite so fragile, and has enough packaging of its own, you can stick to wrapping it in packing paper to simply protect its appearance. Don’t overpack your parcel—you’ll waste packaging supplies and your holiday budget. But, don’t underpack either—you spent time finding or making that gift, and it deserves proper protection. Save yourself some packing time and effort by not over-decorating the outside of your parcel. It’s going to spend time moving through the delivery system, so anything you put on the outside—ribbons, brown paper, Christmas wrapping—might suffer a little bit of damage. Inside the parcel, decorate to your heart’s content. Use an inside colour for your boxes, turn those white packing peanuts red and green, wrap your gifts in holiday paper, add in candy canes or cards—anything that you feel the recipient will love. It’s a busy season, and everyone is sending out gifts just like you, so you’ll need a plan. Have your gifts ready to send out early, or consider paying for faster shipping options. Delivery services have a set number of parcels they handle each day, so the closer it gets to the holidays, the easier it can be for your gifts to be delayed in the rush. Don’t forget that the farther your gift is going, the sooner it must leave—especially if it’s going overseas. Often, international parcels should leave for their destination in November, and some places are so remote that they require a mid-October start for the journey. We’re not kidding! By now, you’re probably used to the postal service using dimensional weight for their shipping charges. That means the size of your parcel and its weight are considered together to determine how much it will cost to send it. That’s why it’s important to minimize the size of your gift’s container, and reduce its weight however you can. It can mean the difference between spending just a few bucks or paying for shipping that’s almost as expensive as the gift itself. If you’re really invested in making sure your gift gets to its destination, or you’d like to track its months-long trip to some remote location, paying for tracking isn’t such a bad idea. Not only will you know when it arrives, but tracked parcels tend to be taken care of better during their time out in the world. Those delicious cookies you will made will get there faster, and with less of them broken on the way. Looking to find the right supplies for shipping presents this holiday season? The Packaging Company has what you’ll need to pack it all up right. And, by using these tips we’re sure you’ll be wrapping, packing and shipping presents like a pro. Your friends might even ask you to do it for them! Now, go make yourself some hot chocolate and gingerbread cookies. You’ve more than earned it!